Arietta B. Hunt, 106, passed away on Friday, June 15, 2018 at the Greene Rural Health Center. She was a member of Sweetwater Missionary Baptist Church for many years. She had many hobbies, including crocheting, fishing, gardening, baking, reading, shopping, traveling, and had a great love for animals. Though born and raised in Illinois, and spending most of her life there, in her later years, she made Leakesville, Mississippi her home. More than anything she loved to spend time with her family. She was loved and will be greatly missed by all who knew her. She was preceded in death by her husband, Earl Smith Hunt; son, Earl Kenneth Hunt; parents, William and Stella Goff; sisters, Cecil Maxwell, Ruth Mustovich, Alma Goff, Dollie Hartwick; brother, Leonard Davis; grandsons, Tony Reeves and Mike Pierce; great-grandson, Christopher Reeves; great-granddaughter, Stacey Pierce; son-in-laws, Tom Puhek and Ronnie Conley. 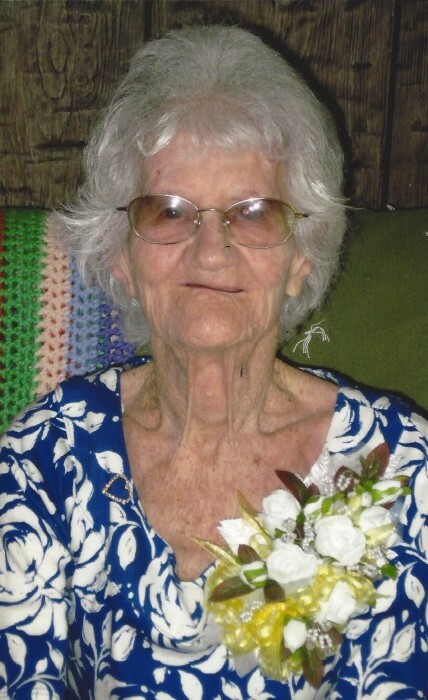 She is survived by her children, Mildred Pierce (Lamar), Alice Puhek, and Arietta Mae Conley; daughter-in-law, Pat Hunt; brother, Donald Davis; sister, Shirley Sievert; 14 grandchildren; 25 great-grandchildren; and numerous great-great grandchildren; and a host of nieces, nephews, and friends.